Should I Get A Home Warranty? 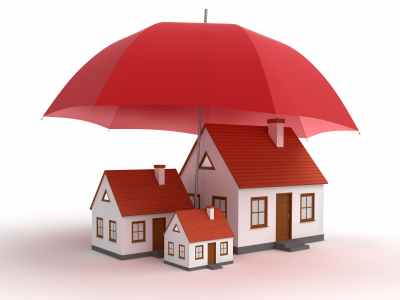 Making a decision purchase a home warranty can, in many cases, be very beneficial. I always recommend my clients to either ask the seller to provide a 1 year warranty or invest the $400 (or so) themselves. When buying a home, no mater if it’s your first home or forth, you never know what could pop up. It’s important to understand all the ways to protect your home during a new purchase. Having a home warranty is one way to provide peace of mind. Knowing that you’re covered if an item were to break speaks for itself. On the flip side, I read an article recently on whether or not home warranties are worth the cost. The article titled Home warranties don’t always provide peace of mind brings up a good point – be sure to fully read and understand what is covered under your specific home warranty. You don’t want your refrigerator to break and then find out it’s not covered!! Also be sure to fully understand your company’s policy on when items will be repaired versus replaced, and how the company determines the repairs to be made. I myself have had a home warranty for two years – having a home over 20 years old and original equipment, something is bound to go! And purchasing a new A/C unit, water heater, and/or furnace would end up costing me somewhere around $10,000. Ouch!! So before you decide to write off purchasing a home warranty, talk to your Realtor to determine the best plan of action for you and your new home. Hampton Roads Real-e-statement is written by Alyssa Godwin, a Realtor with Liz Moore and Associates. For questions regarding home warranties contact Alyssa at 757-329-6161 or alyssagodwin@lizmoore.com. You can also find Alyssa on Facebook or on the web at www.lizmoore.com/alyssagodwin.